Based on the Spacebus-3000B3S (Spacebus-4000 with avionics of the Spacebus-3000) platform, Astra 1K is equipped with 52 Ku-band and 2 Ka-band transponders, and will be positioned at 19.2° East. It sets a number of records for a civil communications satellite: 5250 kilograms at liftoff; 13 kW end-of-life power; total span 37 meters; height 6.6 meters; 10 different antenna reflectors. In short, Astra 1K is a powerful, versatile and highly reliable spacecraft, featuring highly accurate pointing and a long lifespan. 6-panel solar array delivering 13 kW of power at end-of-life. Because of its huge size, Astra 1K will replace three Astra satellites now in orbit, and will also be an in-orbit spare for four others. 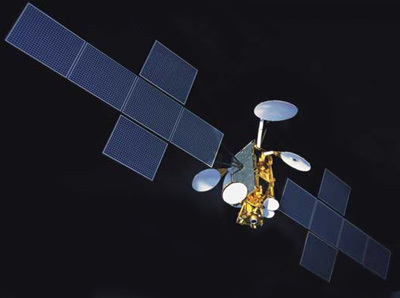 At the same time, this satellite provides multi-mission flexibility, including Ku-band frequency reuse, and Ka-band multimedia services. It offers pan-European coverage, extending from Spain and Portugal to the rest of continental Europe. Due to an launch vehicle failure, Astra 1K stranded in a low earth orbit. It was deorbited on 9.12.2002 over the Pacific.